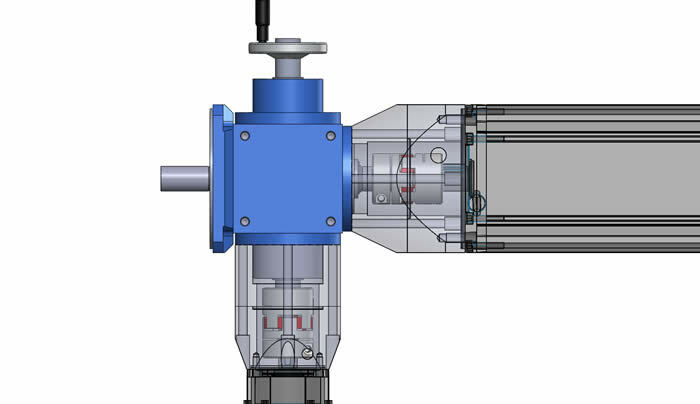 A customer was retrofitting a hydraulic valve actuator system with a geared servo solution. The new design would have improved positioning control and would eliminate the need for a hydraulic power supply that was not only costly to maintain but also very energy inefficient. Because the actuator would be installed in a remote location with limited access, the system required redundancy if the primary power source failed. GAM application engineers selected a 2:1 ratio V-Series spiral bevel gearbox model K0 which has a keyed hollow output and dual inputs. 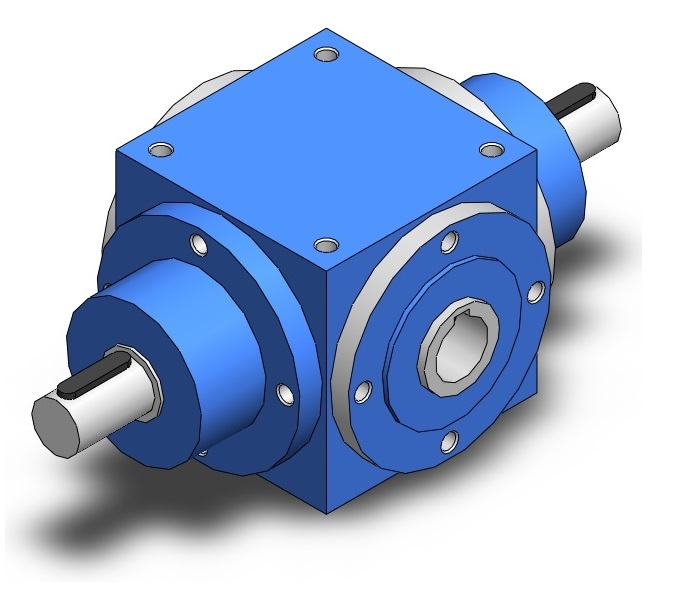 A spiral bevel gearbox was applied because it has a 94-98% efficiency rating, a 2:1 ratio available, and a wide range of shaft configurations offered. GAM provided the adapter plate and coupling to connect the gearbox to the primary servo motor. The interface to the rest of the system was already designed to match the output dimensions of the primary motor, so GAM needed to match those dimensions. In order to achieve those mounting dimensions, GAM provided an output adapter plate and a machined shaft for the hollow output. 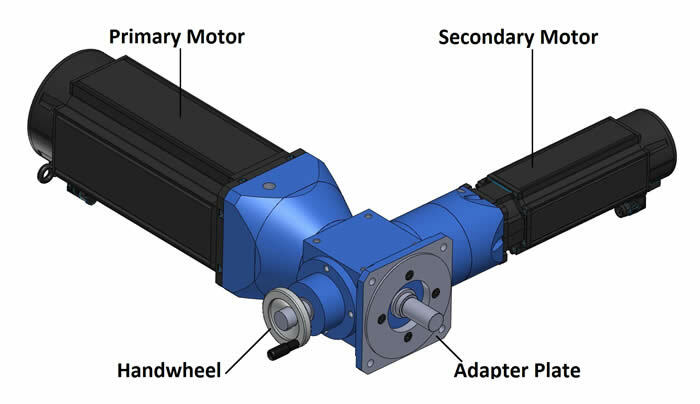 The gearbox shaft arrangement allowed for the addition of a secondary servo motor and a hand wheel connection for manual operation resulting in a redundant power supply. Because the secondary motor has the 2:1 gear reduction driving in its favor, the motor selected could be much smaller than the primary. GAM provided the complete solution including the spiral bevel gearbox, the elastomer couplings, adapter plates, and the application engineering.